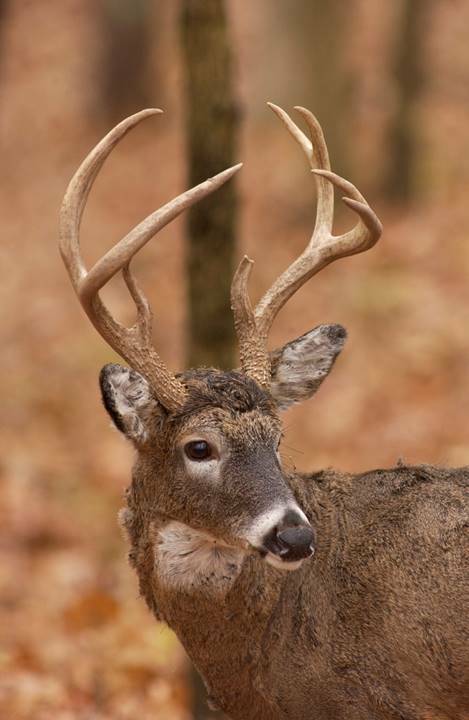 Missouri Department of Conservation’s (MDC) Powder Valley Conservation Nature Center and its grounds will be closed Saturday, Nov. 3 through Monday, Nov. 5 to accommodate a managed archery deer hunt on the area. During this time, the nature center building and grounds, including the surrounding trails, will not be accessible to the general public. Powder Valley will resume normal operational hours again starting Tuesday, Nov. 6. The goal of the three-day managed hunt is to help balance deer populations which have grown beyond what Powder Valley’s 112-acre habitat can provide for, according to MDC Urban Wildlife Biologist Erin Shank. Using data from winter survey counts, Shank estimates the deer population is approximately five times what can comfortably exist there, given the area’s size and proximity to residences and roadways. While visitors enjoy seeing deer and the animals are an important part of the area’s wildlife population, excessive numbers cause negative impacts to other plants and animals, which also draw visitors and are equally important to the area’s biological diversity. Shank noted over -eating of wildflowers and other vegetation by deer reduces song bird numbers and insects like pollinators and butterflies that depend on these plants. Shank said MDC’s goal is to manage the area for a balance of both native plants and animals. The hunters participating in the Powder Valley managed hunt were required to apply for the opportunity from July 1-31 and were drawn at random. Permitted harvest methods are by bow and arrow, crossbow or atlatl. Also, hunters must hunt from elevated stands, and attend a pre-hunt orientation before the managed hunt. Because managed hunts are a tool intended to fulfill specific management goals, deer harvested during a managed hunt do not count toward a hunter’s regular season limit. More details regarding managed deer hunts can be found on MDC’s website at https://tinyurl.com/yddxkjhy. For more information regarding the Powder Valley hunt, call 314-301-1500. Powder Valley Conservation Nature Center is located at 11715 Cragwold Road in Kirkwood, near the intersection of Highways I-44 and I-270. This entry was posted in Outdoor/Nature. Bookmark the permalink.